From the very young to the very old, everyone loves the comfort of a quilt. It’s soft. It’s warm. And there’s something heartening about all the dedication and care it takes to make one. That’s why the Chouteau County Cancer Support Group gives them out to men and women who have been diagnosed with cancer in the region. volunteering for cancer-related organizations ever since. “It’s something I have a need to do,” she says, quick to point out that many others donate their time and talents to help those with cancer in the area. 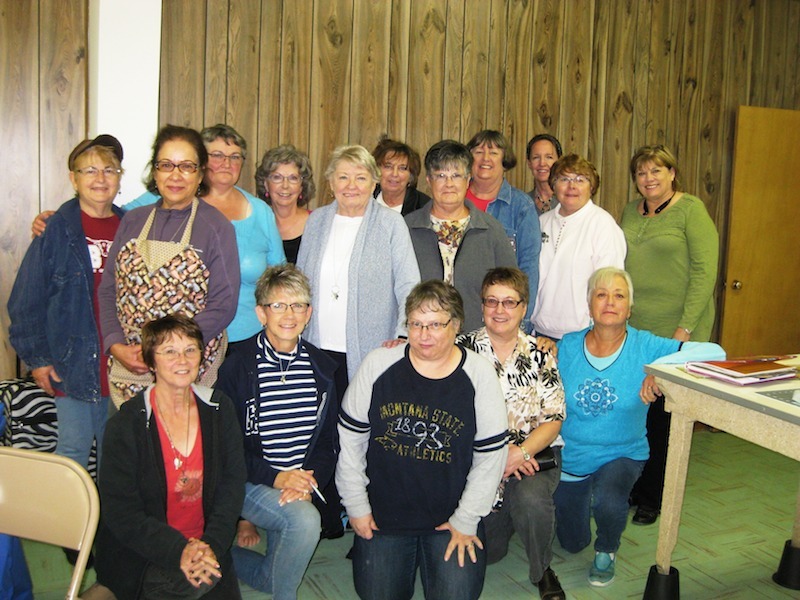 The Chouteau County Cancer Support Group provides financial assistance, gifts, and supplies to those affected with cancer, and also raises awareness with educational seminars and fundraisers. The quilt project is just one part of one group among many that helps those with cancer, but that doesn’t diminish its importance. To many, a handmade quilt is a symbol of hope. It’s encouragement that a cancer patient’s community is there to provide them warmth and love even when they can’t do it in person. “It’s such a great thing to be a part of,” says Margo. For more information on how to get a quilt for yourself or a loved one in Chouteau County, contact the Chouteau County Cancer Support Group at (406) 622-3834.